The Juris Doctor (J.D.) is the first professional law degree awarded to a student who has successfully completed the study of law. 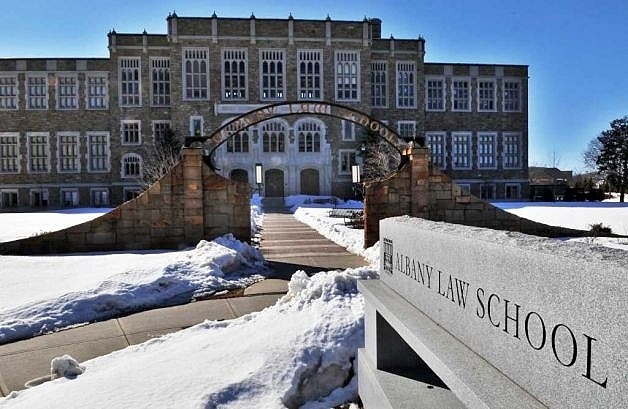 Albany Law School offers three- and four-year programs leading to a J.D. degree. The oldest independent law school in North America, Albany Law has been educating students and producing superb lawyers for more than 160 years. As the only law school within 100 miles of the capital of New York State, Albany Law offers students access to the state and federal courts, the legislature, state agencies and a strong private sector. Here you will find an intellectually rigorous curriculum in a highly supportive environment; a close-knit community of dedicated students; and accessible faculty. JD-3 yrs., JD/MBA-3.5 to 4 yrs., JD/MPA-3.5 to 4 yrs., JD/MSW - 3.5 to 4 yrs., JD/MRP - 3.5 to 4 years., JD/MPP - 3.5 to 4.0 yrs., LL.M. 1 to 3 yrs., LL.M. for International Law Graduates - 1 yr.
Want more info about Albany Law School of Union University? Get free advice from education experts and Noodle community members.